I’m Joe Vargas, one of the coaches here at The Arena. Today, helping me is Ricardo and Hank. Left-hander, right-hander. We’re going to work on foot placement, how it means a lot in a sparring match, in a light sparring, in a competition, in a fight to control the outside foot. We have the right-hander, we have the left-hander. Right there, it’s even playing ground. You have two guys facing each other. Now you take the lead right there. Ricardo has the upper hand, because his foot is on the outside. So now he’s fighting for foot placement. You put your foot on the outside and you work from there. Let’s give him about 30 seconds of work guys, step around, move around, work around now. We’ll see who determines, who controls the outcome. Time. So you see guys, the most important thing about this is who has the outside will dominate the stronger and hardest punches. The point of this is, as the left-hander, if he has the foot on the outside, he has all the momentum and the control of his hard punches on me. Throw the hook. Throw it harder, throw both, throw hard. He has the dominance right there on the out foot. My hips won’t allow me to reach him. They won’t hit him that hard, even if I do hit him, the mobility of lip … hips. So I want to be here. Here. So, whoever controls the outside foot actually controls the fight a little more. My name is Joe Vargas. I’m one of the head coaches here at The Arena. Today helping me is Master Baret Yoshida. We’re gonna be working on proper footwork and how you could create an opening by just moving your feet an inch or two while you’re in the trenches. So Master Baret is gonna sit back. Here, my upper cut doesn’t have much pop to it. It could be good but I’ll take a risk throwing it from here because he can countermove the upper cut with a hook. If I step and enter too, it takes away his hook, and I got my upper cut. If I step to my left, I got my upper cut. And that’s how you create openings by just moving your feet. This is what it looks like against speed. So I just step, full, the other side. That’s the proper game speed. That’s how you would throw it. Throw it as quick. That’s the tip of the week. Boxing is a fantastic form of exercise and just as much fun to watch as it is to participate. 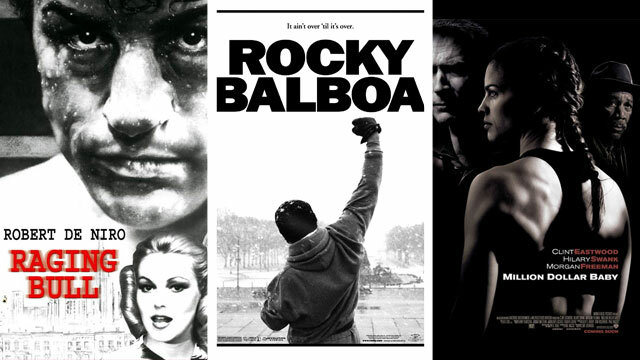 For those who love everything about boxing, it is a good idea to take your love of boxing onto the big screen and make sure to catch the following great boxing movies. The top two boxing movies of all time are generally thought to be “Raging Bull” and “Rocky.” “Raging Bull,” based on the life of legendary fighter Jake La Motta, is a nearly perfectly made film. Black and white cinematography adds tension to a story about a tormented boxer, portrayed beautifully by Robert De Niro. De Niro, a perfectionist in all of his roles, trained with Jake La Motta in order to really immerse himself into the character. “Rocky,” albeit based on a fictional character, is the classic story of the underdog, brilliantly and subtly portrayed by Sylvester Stallone who also penned the film itself. “Rocky” is certainly the easier character to love, but La Motta is a fascinating character nonetheless. Ali actually took a turn as an actor in 1979’s “Freedom Road,” but that isn’t at all about boxing. To see Ali when he was still known by the name Cassius Clay, take a look at “Requiem for a Heavyweight.” Ali is seen in the opening fight of the movie, where he pummels a once-great fighter, played by Anthony Quinn, at the end of his career. The movie also stars Jackie Gleason as his unworthy manager, who owes money to the mafia after betting against Quinn during his bout against Cassius Clay. Boxing movies typically aren’t cheerful, but they do seem to do an excellent job of showcasing interesting characters and relationships. “Million Dollar Baby” is certainly as dark as any boxing film and definitely worth watching. The performances, especially the scenes between Hilary Swank and Clint Eastwood, are amazing. Eastwood stars and directs and earned an Oscar for his direction. Swank picked up her second Oscar for her performance as Maggie Fitzgerald, and Morgan Freeman also earned an Academy Award playing Eastwood’s partner and only friend. These are just a few great boxing films, and there are many more, some old and some new, and many based upon real-life fighters. “The Fighter,” which stars Christian Bale and Mark Wahlberg is a dramatization of fighter Micky Ward and his complicated half-brother, Dicky Eklund, who helped Ward train for the world light welterweight title. Another great film about boxing is “Cinderella Man,” which starts Russell Crowe and legendary fighter James Braddock. In “The Hurricane,” Denzel Washington does an admirable job of portraying Ruben “Hurricane” Carter, a rising star in the boxing world who is sent to prison after being wrongly accused of murder. The last movie is less about boxing than the others but still a great movie. Boxing has been around for centuries; in fact it was one of the sports in the ancient Olympic games of Greece. There is evidence that the sport of boxing was around as early as 688 B.C., although it differed somewhat from the sport we see today. Here are a few interesting facts about boxing and professional boxers that you might not know. Boxing matches are held on a stage known as a ring, but, of course, this stage or surface is not circular but square. The reason why it is called a ring is because that many years ago spectators surrounded the two opponents, basically forming a ring around the two fighters. This didn’t really work well because people tended to get too close to the boxers. It was decided that the rope should be secured with posts, and thus it was arranged in a square, but the word ring still stuck and does to this day. The boxing ring is neither a ring nor even circular, so how did this term emerge? Well, it all dates back to the earliest days of professional boxing when those watching a fight would circle around the fighters, forming a ring. Of course, this just didn’t work out particularly well, so a stage of sorts was devised with ropes being set up. This was more to help force the spectators away than to keep the fighters in the ring. It takes a lot of work to train for a fight, and the fight itself will take a lot out of you. So while the physical demands are tough, there are still a decent amount of pros out there that have fought in more than 100 boxing matches. Len Wickwar, however, surpasses them all. This British pugilist fought 467 bouts during a 19-year period, which is more than one per month. He won about 70% of his fights with 337 wins. There are many great boxing magazines on the market today, but the oldest boxing publication is Boxing News, which began more than 100 years ago in England. The weekly publication has been bought and sold numerous times, but its commitment to covering all of the news in the boxing world has never wavered. The United States oldest boxing publication is The Ring, which has been in circulation since 1922 and is partially owned today by boxing legend Oscar De La Hoya. 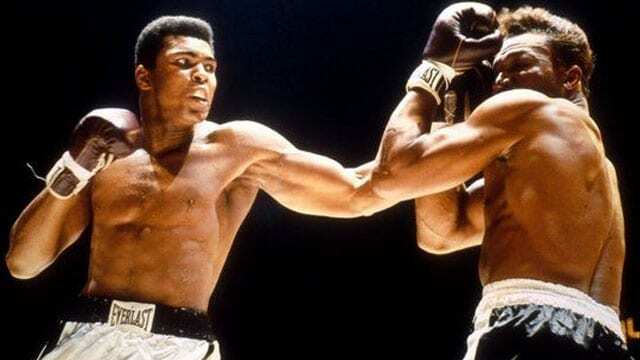 Boxing fans love to talk about great rematches such as any of the fights between Leon Spinks and Muhammad Ali, Sonny Liston and Muhammad Ali, and, of course, Joe Frazier and Muhammad Ali. There other great rematches that include fighters other than Ali, but he certainly has had his share of noteworthy rematches. However, he never fought the same fighter as many times as Harry Wills. Because of segregation, Wills was prevented from really showcasing his boxing skills in world professional fights. He held the World Colored Heavyweight Championship title three separate times. He also met Sam Langford in the ring nearly two dozen times, racking up more rematches than any other boxer in modern history. If you are looking for one of the best MMA gyms in San Diego we invite you to join us. 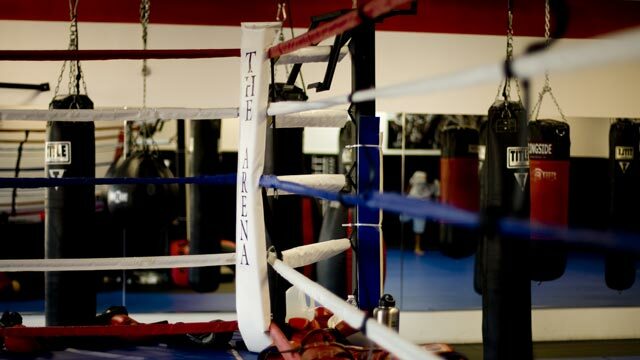 The Arena is the leading Gym in North America for Combat Sports and Martial Arts instruction. 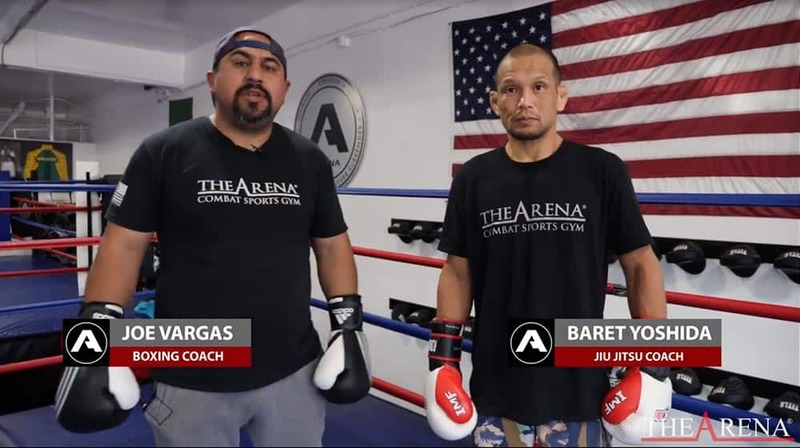 We are considered one of the top boxing gyms in San Diego, as well as having the most advanced Brazilian Jiu Jitsu, Kickboxing and Muay Thai training available. Sign up for your free membership trial today! Boxers are some of the most physically fit athletes in the world. This is because boxing is not just about what happens in the ring; there is a great deal of physical conditioning that occurs behind the scenes. If you are considering using boxing as your main form of exercise, here are a few tips. In addition to improving the strength and tone of your arms and shoulders, boxing also strengthens your back and legs, not to mention improving the strength of your heart. This is because a great deal of aerobic activity is needed to become skilled at boxing. Setting up a boxing gym at home is certainly an option, but it might be costly and impractical, especially if you have limited space. There are several excellent boxing-tips gyms to consider joining and this can be a better way to go because you can work out in a more social setting. 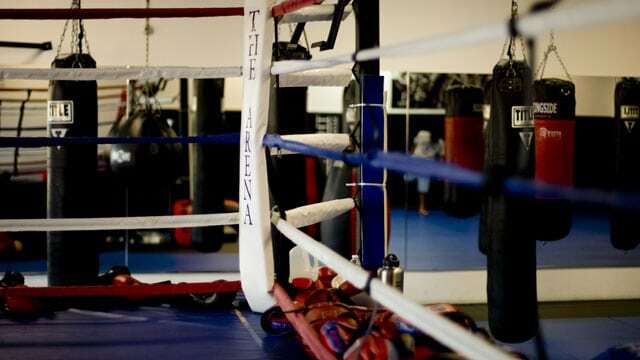 A boxing gym also provides access to equipment so you won’t have to purchase your own. A good boxing gym will have plenty of great equipment and even a ring where you can spar with other fighters, which certainly will accelerate the improvement of your skills. In addition, it can be a lot more fun to work out with others. With a gym, you also will have access to proficient boxing instructors and a variety of boxing and boxing-related classes. 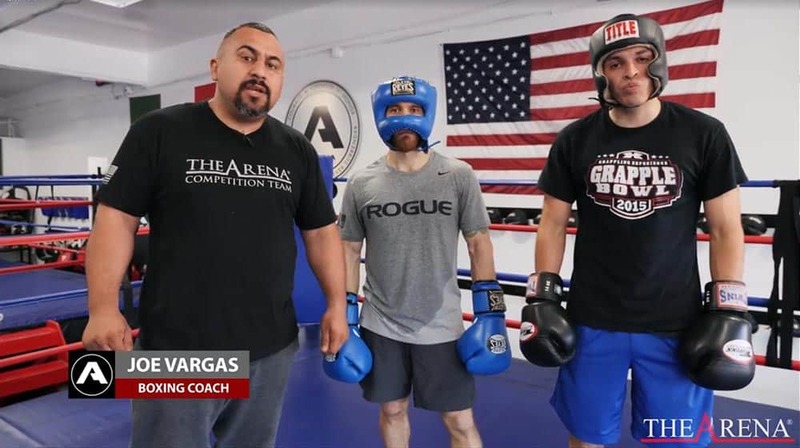 Boxing gyms in San Diego vary, but you should try to find one that has many classes, including boxing and other important classes, such as conditioning and strength classes. Check and ensure that many classes are offered that fit your schedule, and it is best to select a gym where you can take as many classes as you like for a single monthly due. Many San Diego MMA gyms also offer excellent boxing classes, as well as strengthening and conditioning classes, so be sure to take a look at these MMA gyms, as well. When you start out, you don’t need a ton of personal equipment, but you will need hand wraps and gloves. There are gloves for sparring, as well as gloves suitable for bag work. Simply select a set of gloves for bag work at first, since it will probably be a while before you are proficient enough to step into the ring. If you join a gym, you might be able to borrow some gloves from the gym. Once you are ready to fight, you will need gloves for that as well as head gear and a mouth guard, but don’t feel like you need to buy everything at once. You probably will need two types of shoes – boxing and general athletic shoes. The boxing shoes are lightweight and provide proper traction for inside the ring. A good pair of athletic shoes can be used for running and jumping rope. It might also be a good idea to purchase a jump rope. Your gym will probably have one, but it can be a great idea to have your own, as well. Also consider purchasing some comfortable athletic gear and a large gym bag to hold everything. While boxing might seem like a couple of guys just standing and hitting each other, it is truly a demanding sport that requires a great deal of work and training. Boxing can be a great way to stay in shape, but in order to be successful, it is important to consider the following items. When you are setting up a home boxing area, you will need to install a few different kinds of punching bags. The heavy bag is a very important tool because its weight and resistance mimics the weight of a person. Using the heavy bag will help you learn to throw punches that gain power from your entire body, including your legs and torso, as opposed to throwing punches strictly from the upper body. This bag will need to be in a fairly open area, so you can maneuver around it easily. Consider doing several three-minute workouts with one-minute breaks in between, so that it will be similar to an actual boxing round. Speed bags are another important piece of equipment and the smaller speed bags can help you improve your all-important hand-eye coordination, as well as develope a good punching rhythm and maybe even a deadly left jab. A larger, heavier speed bag can be a good option, too, as this will improve your upper body strength as it is harder to hit. Another great option would be to install a floor-to-ceiling bag, especially if you are interested in actually competing in bouts. This bag is attached to elastic chords that make it rebound erratically when you hit the bag. This will help you learn how to quickly respond to different attacks which is more of what you would deal with if you were fighting an actual person. 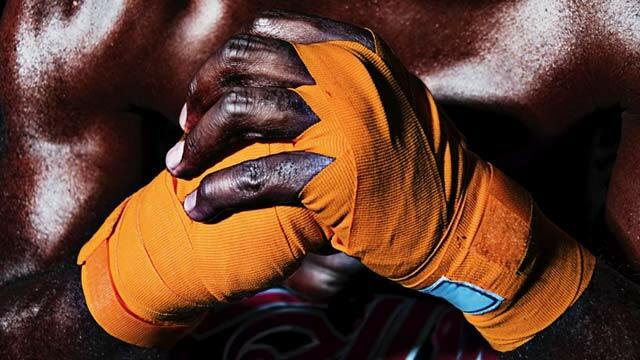 Boxers must have proper handwraps and boxing gloves in order to protect the bones and joints in their hands. You can try a few different types of handwraps and then select the ones that feel the most comfortable to you. When selecting gloves, beginners often start with lighter weights, and 16-ounce gloves are pretty standard. 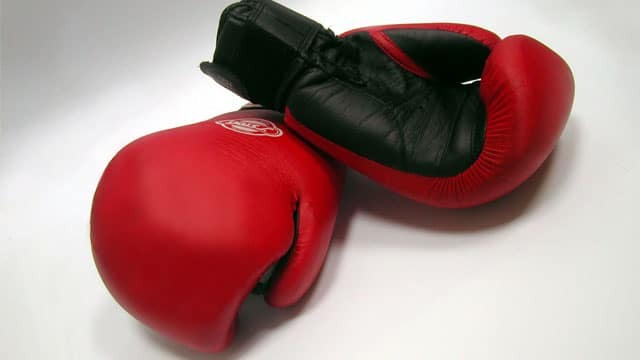 Pro boxers usually slightly heavier gloves, but lighter ones are great for the beginner. When you do step into the ring against an actual person, you also need to purchase some headgear as well as a mouthpiece. Other great items to think about purchasing are boxing shoes and a good quality jump rope. The shoes might not be essential, but they do provide good support and are lighter weight than many athletic shoes, which can help you move more freely. Using a jump rope is a great way to warm up and also is a great tool to improve footwork. All of this equipment can be purchased and placed in your own home gym, but it is also a good idea to consider scoping out the San Diego gym scene to find a spot that offers boxing and conditioning classes. 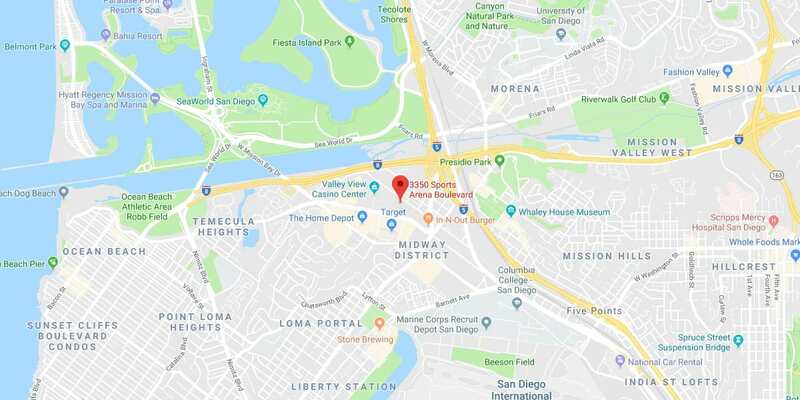 There are also mixed martial arts gyms that offer boxing classes in San Diego, and you will have the added advantage of being able to enjoy other martial arts classes in addition to boxing lessons. Try to find a gym that offers a daily schedule with several boxing classes, and find a gym that charges one flat monthly rate for everything. This provides you with the opportunity to take Jiu-Jitsu classes, boxing classes and much more. No matter what sport you discuss, it is difficult for people to agree on which athletes were the best of all time. Boxing is no exception to this rule, and while some people will argue for Muhammad Ali, others will list Joe Louis. No matter whom your favorite boxer might be, the following list of the boxing’s greatest fighters takes into consideration the talent, the skill, the records and showmanship of each boxer. You might not personally like one or more of these guys, but there is no denying their influence on the sport. It is not difficult to make a case for Muhammad Ali as the greatest boxer in history, and Ali himself would probably agree. His amateur career included 100 wins and just five losses, as well as taking the gold medal in the light heavyweight division during the 1960 summer Olympic games in Rome. As a pro, he won 56 fights and lost just five bouts, three of them coming at the end of his career. He also defeated some of boxing’s toughest competitors, including George Foreman, Sonny Liston, Joe Frazier and Floyd Patterson. Joe Louis was similar to Ali as not only was he an extraordinary boxer, he was a beloved American hero. He lost only three bouts, including a famous 1936 fight against German boxer Max Schmeling. Despite the fact that the bout lasted 12 rounds, this loss was touted by the Nazi’s as proof of the superiority of the Aryan race. In 1938, Louis faced Schmeling again, this time knocking out his German opponent in just two minutes. This is considered one of the greatest fights in history. In all, Louis won 69 professional boxing matches, knocking out the vast majority of his opponents. He also held the heavyweight title from 1937 to 1949, far longer than any fighter before or after. Boxers typically don’t want for self-confidence, after all Muhammad Ali called himself the “Greatest.” However, even he admitted that he thought the best boxer in the world was Sugar Ray Robinson, calling this esteemed fighter his idol. Robinson won 173 of his 200 fights, and if that was not impressive enough, more than 100 of those fights ended with him knocking out his opponent. Robinson was both welterweight and middleweight champion, defeating everyone from Jake La Motta to Rocky Graziano. While he is usually not at the top of the list, Rocky Marciano certainly deserves a spot in the Top Ten fighters of all time. Not only was he undefeated in all of his 49 pro fights, 43 of them were wins by knockout. Although Marciano did not face the same caliber of opponents as greats such as Joe Louis or Muhammad Ali, he is the only heavyweight champion to remain undefeated during his entire career. One of the first truly great and notable fighters of the modern era was Jack Johnson. While his record is not quite as strong as some of the aforementioned fighters, he did win 80 of his 114 pro fights. Johnson is also notable as he was the first African American world heavyweight champion and was the victor in the “Fight of the Century,” a battle between Johnson and former champ James Jeffries. This fight was not only seen as a huge victory for Johnson but also for the progression of African Americans in sports in general. While MMA offers fighters an opportunity to utilize a variety of fighting skills, there is no doubt that boxing is a big part of the sport. 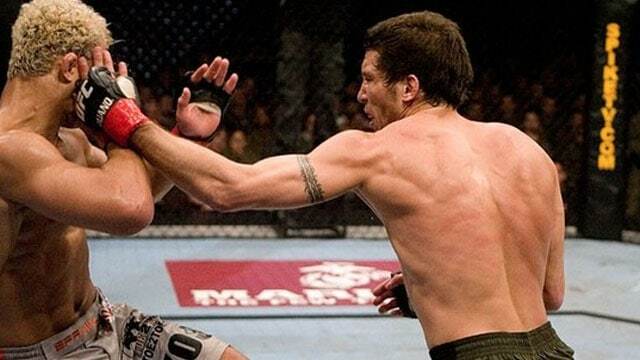 A strong punch requires less energy with more potential impact than other MMA skills. Many of the sport’s top fighters have strong boxing skills and a few have professional boxing records. Here are a few MMA fighters with major boxing skills. While Georges St.-Pierre never competed as a boxer, he takes his boxing skills very seriously. His trainer, Freddie Roach, is one of the best trainers in the world. St.-Pierre has won many fights using boxing techniques, including UFC 48 where he downed his opponent, Jay Hieron, at just 1:27 in the first round by knockout. Obviously, St.-Pierre did not earn his 22-2 record and welterweight title by boxing alone; he also holds an impressive array of black belts in three martial arts, including Brazilian Jiu-Jitsu and Kyokushin kaikan. When you think about the best MMA fighter of all time, Anderson Silva’s name is always up for consideration. However, he also fought two bouts as a professional boxer back in Brazil, winning one of the fights by knockout. Silva obviously sees the importance of having a wide arsenal of skills. In addition to boxing training, he is one of the top Muay Thai fighters in the world, holding a black belt. Of course, he also has a black belt in Judo, Brazilian Jiu-Jitsu and Taekwondo, as well as a yellow rope in the Brazilian art of Capoeira. Brazil has given us no shortage of exemplary fighters, and Vitor Belfort is no exception. In addition to his black belts in Brazilian Jiu-Jitsu and Judo, Belfort has a purple belt in Shotokan and a short career as a pro boxer in which he won his only fight by knockout, defeating Josemario Neves in less than one minute. Of all of the MMA fighters with boxing records, K.J. Noons has perhaps the most solid record in the ring. From 2004 to 2009, he participated in 13 professional boxing fights, losing only 2. Of course, he also holds a 12-2 professional kickboxing record and an 11-5 MMA record. He is a highly versatile fighter with a black belt in Kenpo Karate, as well as being an expert in Muay Thai and Sanshou, a form of Chinese hand-to-hand combat. Learning essential boxing skills will improve the overall performance of any fighter, so if you are currently working toward a career in MMA, make sure you add boxing classes along with your Brazilian Jiu-Jitsu, Muay Thai and wrestling classes. Select a professional-level MMA gym that offers a variety of classes, including boxing, for one flat monthly fee. If you switch from a single sport, such as wrestling or Brazilian Jiu-Jitsu to the world of MMA, you probably quickly realized that relying on one single skill set is not going to further your career. While adding Muay Thai or Boxing to your main skill is an excellent idea, it might be even better to expand your training to include four or more different fighting styles. Here are just a few of the fighting styles all MMA fighters should have in their arsenal. If you have never taken Brazilian Jiu-Jitsu classes, this is something that definitely should be added to your to-do list. This martial art is an excellent method to study because it focuses on grappling and ground fighting. With strong Brazilian Jiu-Jitsu skills, you can often overwhelm a larger opponent, bring them down to the ground and even the playing field a bit. 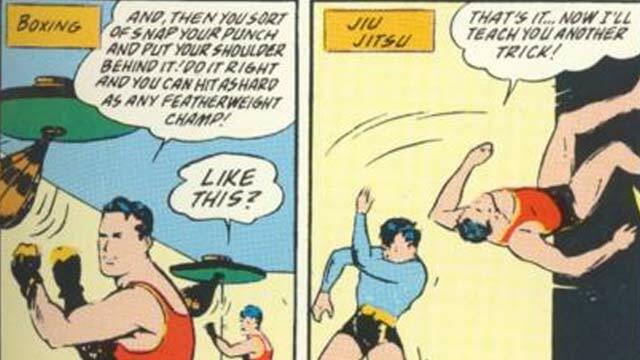 To improve your defensive skills, consider adding Judo to your program. Judo is similar to Brazilian Jiu-Jitsu, and BJJ, in fact, was derived from the ancient combat art of Kodokan Judo. Judo, unlike Brazilian Jiu-Jitsu, focuses on fighting in a standing position rather than forcing your opponent on the ground. The main advantage of studying Judo is that it can act as a strong defense against an opponent who is trying to wrestle you to the ground and apply submission holds. While you cannot rely solely on boxing skills during an MMA fight, it is still a very important part of training. Boxers not only learn the best techniques for throwing a punch, they also learn how to take a hit and block hits. In addition, when training for a fight, boxing classes can improve your footwork and improve your conditioning overall. Boxing also can be incorporated easily into your MMA skill set and used in combination with Muay Thai and kickboxing. In additional to traditional western boxing, learning Muay Thai skills is also important for your MMA arsenal. In Muay Thai, you will learn dozens of strikes involving the knees, elbows and hands, as well as several different types of foot thrusts or jabs. In this way, Muay Thai serves as an excellent defensive weapon, but you will also find that many fights that end in TKO were due to Muay Thai-style kicks and strikes. So when you decide to get really serious about MMA and select a gym that specializes in mixed martial arts, spend some time researching your local gyms. A good gym will have a monthly fee that includes gym use as well as unlimited classes in multiple styles of fighting. In addition, a great gym will hire instructors that have been or currently are professional MMA fighters. Dedication, strength and determination are essentials for success in mixed martial arts in San Diego. If you hope to become a professional MMA fighter, you can’t fight unless you are completely committed to the sport. Taking your skills to pro level is not something to be taken lightly, and you will need to consider the following before you begin training. You cannot become pro by simply taking a few classes and training alone. You need to find the best possible MMA gym in your area that can teach you how to join the MMA. The gym needs to be staffed with instructors that have fought professionally so that you can benefit from their expertise and experience. Find a gym that offers classes in multiple fighting styles, as well. Leaning on just one main fighting technique won’t get you to a pro level. You will need to be proficient in multiple styles of fighting; otherwise you will be unsuccessful in even lower level pro bouts. The best fighters excel in a range of skills, including boxing, jiu-jitsu, Muay Thai and wrestling. Not only do you need to work on each of these individual skills sets, you also need to be able to take those skills and combine them to create a strong game plan for your fights. In addition, you need to improve your overall health through strength training and conditioning, as well as diet. Professional MMA fighters are in the gym for as many as five or six hours a day and six days a week. Your body will have to work up to this level, but it gives you some idea of the commitment that is necessary to fight on a professional level. Your trainers and instructors will have the best opinion about when you are ready to begin fighting competitively. This is why it is important to find a quality MMA gym with instructors who have that professional experience. Not only can they help guide your training, they can assist you in preparing for your first fight. They also know where the fights are in your area and weight class. Be sure to select a gym that offers in-house fight management. That way, you know they are serious about helping members who want a career in MMA. Obviously you want be headlining any major shows right out of the gate; however, you need to expect to compete in small show MMA. If you are lucky enough to win, your purse will be small, perhaps $500. Most fighters will tell you that the money is not the reason they fight, they love the fight itself. That first moment you are facing a real opponent in a pro bout can be terrifying, but most fighters have shared that it was also one of the best experiences of their lives. If you choose to make MMA your life, be prepared to work hard and be prepared for injuries. They are part of the deal. If you are looking to improve your mixed martial art skills, we invite you to visit us. The Arena is the leading Gym in North America for Combat Sports and Martial Arts instruction. We are considered one of the best Muay Thai gyms in San Diego, as well as having the top boxing, kickboxing and Jiu Jitsu classes available. Sign up for your free membership trial today!